Being a resident of northeast Tarrant county for nearly twenty years, Kristy has extensive knowledge of Fort Worth, Keller and surrounding communities. She understands that finding a home is more than just buying a house; it’s finding the best community that accommodates your and your family’s needs. One of the things Kristy loves about real estate is helping people find a house that they can turn into a home… a place where homeowners can start making memories and settling into their lifestyle. Kristy graduated from Texas Woman’s University with a Bachelor of Science in Nursing. You might be surprised how skills from a previous career as a Registered Nurse can transfer over to real estate! As an RN, you must have excellent communication and interpersonal skills between various parties (patients, families, and other healthcare personnel), much like a REALTOR must be able to act as the liaison and manage communication between the client, other agent, home inspector, lender, and title company. In addition, Kristy is equipped to handle stressful situations and help maintain balance during what can seem like a roller coaster of emotions during your transaction. 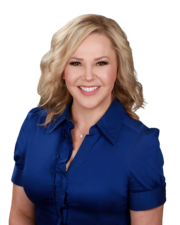 Just like in nursing, Kristy will be your advocate during the real estate process by making sure you understand each step of the process, offering you professional advice, and helping you get the best deal possible by always putting your needs first. She is an active volunteer at her children’s schools and most recently was a two-year Board Member of the PTSO (Parent, Teacher, Student Organization). Kristy is also a supporter of the local fine arts community and volunteers at Casa Manana Theatre. When she isn’t focused on real estate you can find her keeping Chick-Fil-A in business with her sweet tea addiction, running half marathons and 5K races, and playing golf with her husband. She also enjoys watching musical theater with her daughter, attending sporting events with her son, and occasionally enjoying some down time with the trio that really rules the house…Jules, Lucy and Bingo, their three rescue pups.